There are a few things that homes and businesses across the world all share...wires and cables. In homes, you can find them crowded under a desk or scrunched behind a media center. In an office, they flow through the ceilings as they connect all the devices needed for a hard day’s work. And in industrial areas, they can be found in new construction builds and remodels or in large machines. How do you or your business organize cables and wires? Here are a few ways your home and business can benefit from cable clips and cable clamps from Volt Industrial Plastics. Cable clips and cable clamps are perhaps one of the most undervalued organizational products. Most people simply think of these products as a way to easily bundle wires, cords, and cables. While this is true, cable clips can also be used to organize wires and cables throughout the home. By bundling similar wires and cables together, it makes it easy to locate, move, or remove if there is an issue that comes up. 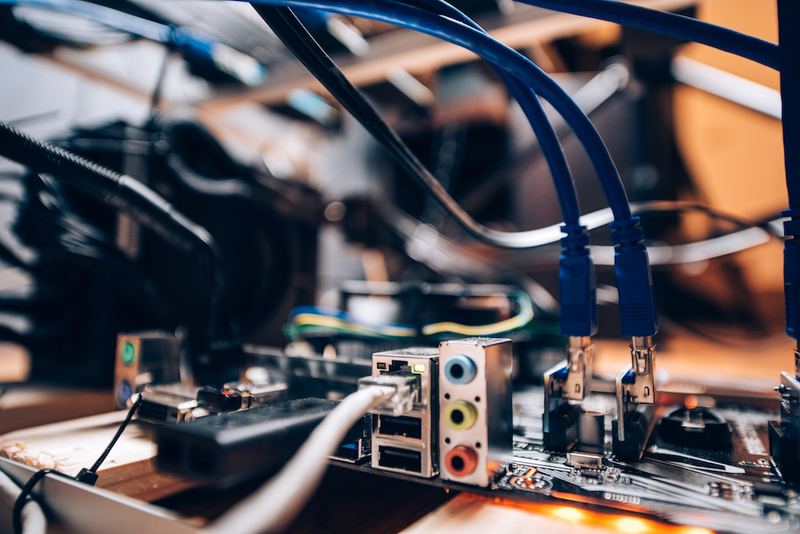 Businesses, large organizations, and places like schools and hospitals need a lot of cables and wires to be able to connect. With all of the computers, wi-fi routers, and more technological devices, many businesses are overwhelmed with the number of cables, cords, and wires needed to keep their businesses or organization running smoothly. In fact, most businesses have a dedicated IT department that handles all of the chaos cables can bring. They also know the benefits of securing and bundling wires together and/or attaching them to a surface. Not only does bundling wires together make the place look neater, but it can help with keeping things organized. 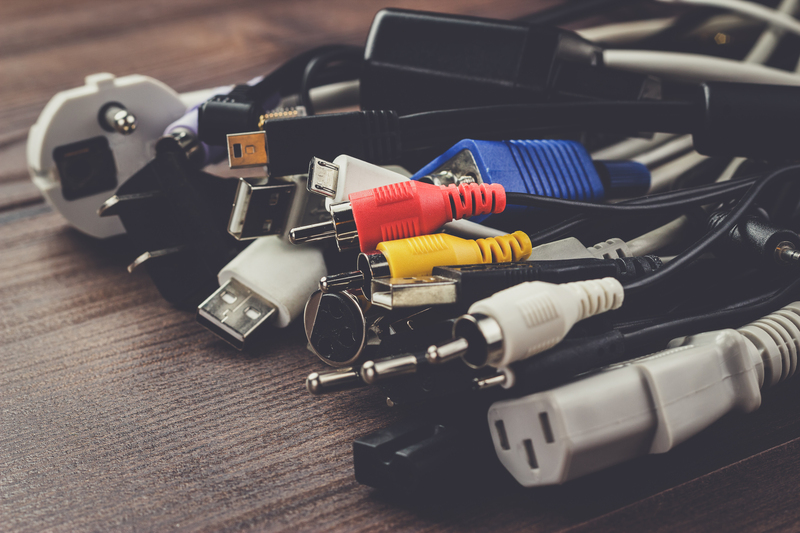 Most professionals will even want to color code the cable clips holding like wires or individual wires so that they know immediately what wires are connected to what devices. NEED A CABLE CLIP? VOLT INDUSTRIAL PLASTICS HAS IT. At Volt Industrial Plastics, we carry a variety of cable clips and cable clamps. We carry both adhesive backed wire and cable clips and cable clips that can be secured to a hard surface using a screw. Adhesive-backed clips are great for home offices or those who want a temporary fix to hold cables together and off of the ground. We know that wires come in a variety of sizes. 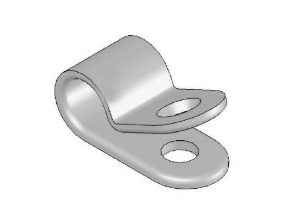 We carry several in-stock cable clips with a wide range of wire bundle dimensions to choose from. Our cable clips and cable clamps also come in a variety of openings such as side-entry and top-entry. This allows for easy access and ability to change out wires if needed. Still haven’t found what you are looking for? Give us a call at 1-800-844-8024. We have the ability to manufacture custom fasteners in-house. The best part is that we can get you the custom parts you need in just a short amount of time. At Volt, we are constantly listening to our customer base and learning what they need and want more of when it comes to the products we produce. Cable clamps have become increasingly popular due to their ability to make handling wires, organizing wires, and running cables easier. Our new cable clamps are light duty, come in a variety of sizes, and can be attached to a variety of surfaces such as a wall or ceiling with a simple screw. There are a few sizes available now and other sizes with be available in just a few months. Click here to learn more about our new light-duty cable clamps.